I don't remember exactly how the ball began, but it is a sphere, composed entirely of aluminum foil of various varieties. It is mostly candy wrappers, with a few bits of foil from other food items mixed in. 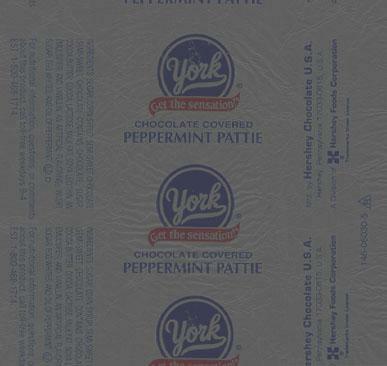 So far, the best finish coat is York peppermint pattie wrappers. That is by virtue of the adhesive which is left when the paper is peeled off of the back. Other foil is fine, but a coat of peppermint pattie wrappers is necessary to keep it on. Gum wrappers also tend to have that quality, but they are far too difficult to peel considering the minimal bulk that they have. Gum wrappers do make a good finish coat, on top of peppermint pattie wrappers, for show. Some items, such as Hershey's Miniatures, which look like they might be good candidates for foil, aren't. Then, of course, there is metallized Mylar, which is right out. There is a summary of what materials are good for what at this page. The ball is more impressive in "person" than this page can hope to depict. When people are introduced to the ball, their first reactions are of surprise that it is so nearly perfectly round, smooth, and hard. The round, smooth, hard attributes are achieved by applying new pieces of foil more or less uniformly about the surface, then rolling it around on a hard surface to flatten it. I also periodically whack it with a hammer, further compressing the surface and keeping it as round as possible. This is done pretty much constantly, so there are no large pockets of air in it. This is no ordinary foil ball, created because some crumpled up foil was handy. This is a long term project. There isn't actually a goal size, so it is the intermediate results that are important. One of my former associates insists that there must be something, such as a marble, at the center. A cursory examination of the geometry of the situation quickly exposes that as silly at best. Just trust me on this one. It is foil all of the way through. I'm not the only person who has constructed a site about a ball project. Here are some other such sites. The opinions expressed in this collection of documents do not necessarily reflect those of SunSITE; who is not responsible for its content. The ball is a personal project of mine and any blame or credit belongs to me. A number of trademarked images appear throughout this site by virtue of their appearance on foil wrappers and those trademarks are owned by their respective owners. Their inclusion does not constitute an endorsement of the products that they originally wrapped. Yes, all of this is mindnumbingly obvious (especially the bit about who owns the trademarks), but it is, after all, a disclaimer. Server space courtesy of SunSITE.